There are two major versions of the events of 1942. One version ascribes the utmost importance to Donato’s accordion player, Osvaldo Bertone. However, accordion solos started appearing in Donato’s recordings only around 1937, while his orquesta was successfully performing and recording since 1930. Also, if the accordion was so important, Donato would have certainly found a replacement, if not for Bertone himself, but at least for the instrument, when his orquesta re-surfaced. Another version alludes, without any details, to a love triangle between the three Donato’s singers. However, it is rather puzzling how Lita Morales, who completely disappeared from the orquesta after August 1941 could become a cause for the love triangle a whole year later. Recently, in a series of conversations with Dmitry Pruss we came out with a reconstruction of events, based on the history of Donato recordings, which seems to consolidate all the known bits and pieces. Edgardo Donato, an accomplished violin player, and one of the most eccentric tango figures formed “Edgardo Donato y sus muchachos” in 1930, together with his two brothers, Osvaldo and Ascanio. While all Donato musicians stayed with the orquesta until its demise, there were quite a few singers that passed through its ranks. Those included the former boxer Félix Gutiérrez, the future star Hugo de Carril, and one of the best tango voices Alberto Gomez, but his emblematic singer, Horacio Lagos joined Donato in 1935, and became the principal singer in 1936, with the memorable recording of “Se va la vida”. and from the mud itself, sprouts a song. handfuls of joy, given by God. In his arrangement Donato omitted the second verse with rather ominous stanza. Did he want to keep the vocals shorter or the mood of the tango happier? and her lack of modesty, that she doesn’t know how to hide. That made me sigh under her magical influence. They were all my dreams of childhood. Made me sing as a child. I cannot love you, never, not ever! Will not save you from death. It’s the same, we all end up equally dead. On the August 6, 1942, in the last recording session, Romeo alone recorded vals “Mendocina”, and, after more than a year hiatus, together with Horacio – tango “Lonjazos” (“Scars”). Don’t bother crying for that old love again. Lest the betrayal you feel inside will open up again. A man is not worth the pain! The described events are obviously somehow connected, but they lack a key. Just the triangle alone does not explain the gravity of the consequences. Neither it explains why the names of Lita and Horacio were erased from the history. And a possible key to understanding what actually happened is the fact that Lita had a son, Daniel Stigliano (Stigliano was the real name of Horacio Lagos, see TodoTango archives) who was born, presumably, amidst the described events. Here is the reconstruction of the events, with the years and notable recordings of Donato orquesta. We will state the facts in the upright font, while keeping the hypothesis in italics. When listening to the music, please also check the lyrics in the liner notes of the tunes – it holds additional clues to the story. 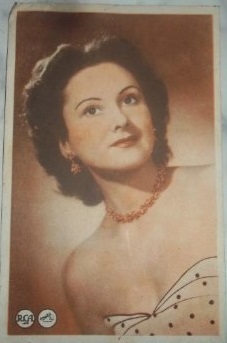 Lita Morales joined the orquesta in March 1939, recording on the very first session with her husband Horacio Lagos “Carnaval de mi barrio“. 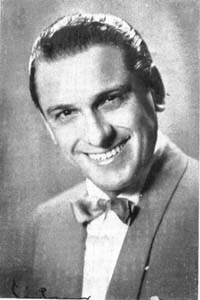 Romeo Gavioli joined the orquesta around the end of 1939, recording together with Lagos “Noches correntinas“ where he for first time admitted the magic powers of Lita’s dark eyes. In January 1940 Lita was still happily singing girlish tunes, not paying too much attention to Romeo’s advances, “Triqui-Trá“. The romance between Lita and Romeo started around September 1940, with the recording of “Yo te amo“. The tension between the three singers kept mounting so that after the vals “La shunca”, recorded in January 1941, neither Lita nor Horacio sang together with Romeo anymore. The romance kept burning, while Horacio and Lita were exchanging reproaches, and asking each other to take things easier with polca “No se haga mala sangre“, until July of 1941. This tune was commissioned by Lita and Horacio to the same Luis Rubistein. Yet, with the news of her pregnancy, Lita and Horacio reconciled in August 1941, with vals “Mañana será la mía“ while laughing at Romeo and his next victim straight in the lyrics, not even in a single line reflecting the name of the vals, written by unknown author, and generously sprinkled by happy Bertolin’s solos. Some time after August 1941 Lita took “a maternity leave” from the orquesta, and gave birth to Daniel Stigliano, while Romeo and Horacio for the whole year have not recorded even a single number together. Nevertheless, Romeo did not stop chasing Lita, until she openly admitted that she does not love him anymore… and Romeo threatened to kill himself with the tango of his own composition and letters, written by his Uruguayan friend, José Rótulo, who followed Romeo to Buenos Aires – “Tu confidencia” (“Your confidence”). The last session happened in August 1942 when Romeo recorded vals “Mendocina”. For the whole year of Lita’s absence the atmosphere in the orquesta seemed to stabilize to the point that Romeo and Horacio recorded a duo after more than a year hiatus, with rather telling name – “Lonjazos” (“Scars”). Soon after that, Lita came back to the orquesta rehearsal with her baby Daniel. Seeing the child, Romeo felt, saw, or otherwise realized that Daniel Stigliano is in fact his son. Given the affection of a man to a first born son in any culture, and even more so in the culture of South America, we can imagine that previously not so unusual for bohemian tango community situation, which seemed to be already forgotten, now turned rather sour, as Romeo openly claimed his rights to Daniel. One might have expected that Horacio, hearing the claim of Romeo, supported with some details that Horacio would rather not know, would have turned his back on Lita and the child. However, Horacio did exactly the opposite – he either dismissed Romeo’s claim or, even knowing for a fact that the child was not his, confronted Romeo by embracing both Daniel and Lita… and what he did was not exactly what was expected of a “guapo y varon” of the 40s. A brawl ensued… To fire all three vocalists, Donato must have had a reason to blame them for disrupting the rest of the orchestra, for Bertolin’s resignation that happened around the same time, for a loss of the recording contract when the story got out, or all of the above. And even then such an action was too harsh for Edgardo, unless we assume that it was suggested, or even insisted upon, by his brother, Osvaldo, who played a role of the orquesta administrator for an absentminded Edgardo since the beginning. Devastated Romeo left Buenos Aires and went back to Uruguay. Maruja Pachero, a friend of Lita, and collaborator of Donato, with disgust turned away from tango for the rest of her life. Osvaldo Bertone, who, just by the virtue of his young age, might have had a secretive crash on Lita as well, since the day she appeared in the orquesta, during all his long and successful career as a jazz musician, never looked back at tango. Lita Morales essentially withdrew herself not just from tango but also from the public view as well. 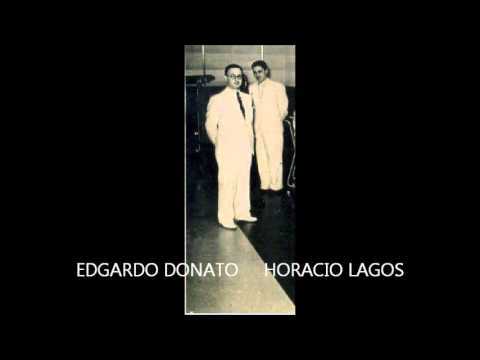 In the end of May, 1943 Edgardo Donato premiered his new orquesta with new vocalists – Daniel Adamo and Jorge Denis. 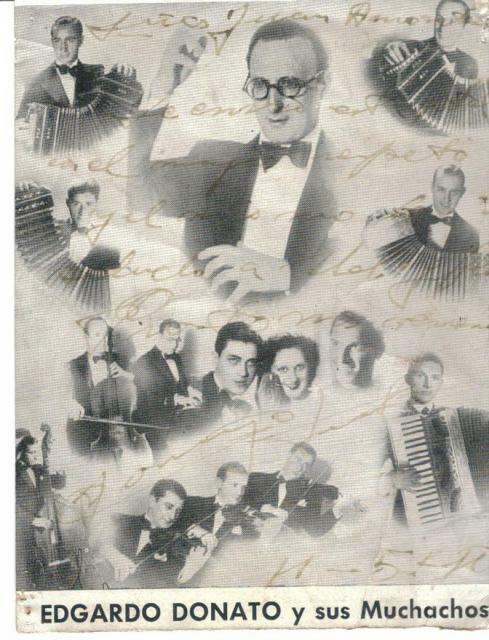 Also, exactly one year after the split, Edgardo Donato premiered “Los Caballeros del Recuerdo” – a guardia vieja cuarteto, consisting of Edgardo Donato (violin), Francisco Pracánico (piano), Anselmo Aieta and José Donnaruma (bandoneons). Osvaldo Donato, who took over the old orquesta, rehired Horacio Lagos and became quite active in the city’s milongas in 1943-1945, but did not leave for us any recordings. Lita briefly returned to the stage in 1955-1956. In her last recording, “Comadre“, made in March 1956, she settled the score with the story that was haunting her for over twenty years. Broke my poor voice with emotion. And heaven, for me, darkened. Had cured me of you. That already you’ll never need to return. With great appreciation to Dmitry Pruss for three nights of merciless brainstorming to Paul Bottomer for preparing on rather short notice all the music and all new English translations in Today Tango Is… channel, and to Michael Krugman for his meticulous research on Donato’s after-split period. Also big thanks to Paco Da Capo for early critique and corrections. Thank you for this absolute fabulous and well researched story !